Bringing home a new canine companion — whether it’s a puppy or an adult — requires some clear, consistent training from the entire family. This can be more easily said than done when it comes to children; though they mean well, they’re often too distracted with the excitement over a new pet to focus on teaching positive behaviors. Luckily, there are plenty of ways you can get your kids involved in the process to make the transition to a new home smoother and quicker for your dog. Even if your new dog is grown, he still needs to learn the rules for his new home. Your family can start showing him the ropes by identifying good behavior he exhibits naturally, like sitting or lying down. Point out these behaviors to your kids, and show each the right way to praise and reward good behavior, including offering treats in the palm of the hand to avoid accidental finger bites. If everyone is consistently implementing the same rules every day, your dog will catch on quicker, and your kids will establish their authority early on. 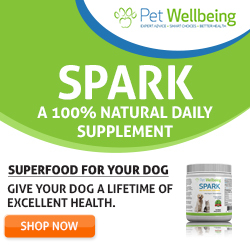 Your entire family needs to be well-versed in what’s good for your dog and what could hurt him. 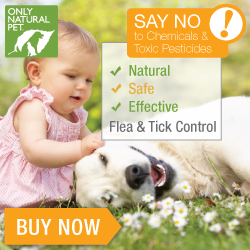 Walk your kids through your home and go over exactly which items can be toxic or otherwise dangerous to a dog. Show them where potent cleaners are kept and how to store them safely out of reach, and talk to older kids about which cleaners should be used in the event of pet accidents. Talk about productive ways to deter the dog from those areas — for example, maybe he shouldn’t be allowed in the laundry room if that’s where most cleaning items are kept. If he does start nosing around cabinets that could have dangerous chemicals, discuss the proper way to scold him so he learns to steer clear. It’s not as easy for kids to let training slip their minds if there are constant reminders around. They can have a clicker to keep in their backpack or tucked in the house key dish by the door. It’ll also be easier to remember to reward good behavior as it occurs, even if it’s simply the absence of a bad behavior. For example, if your daughter does her homework at the kitchen table after school and your dog quietly naps at her feet, show her how to reward him for calm behavior. Though it’s important to make sure your kids are training the dog properly, it isn’t always productive to constantly stand over their shoulder watching. Give your kids mini dog-sitting opportunities — it can be as simple as watching the puppy for 10 minutes while you take a shower — and follow-up on how it goes. Were there problems? Was your child able to handle it? If not, what’s a better resolution for next time? Don’t hesitate to share your own training struggles and see what your kids think about solving the problem. Working together will reinforce the idea that training is a family effort, and it’ll help identify persistent problems much more quickly. Make your pup’s training progress a daily routine with your family. Troubleshoot issues, vent about tough training sessions, and find ways to laugh together over the process. Before you know it, your new dog will be well-acclimated to his new home and trained to your family’s content! Dogs and children are natural companions and they could be lifelong friends. Sometimes, however, kids can do things that dogs may not like -- and that's when a dangerous situation can occur. The "Dog Safety Guide for Parents" is a useful free online resource for parents who want to know more about dog bites, dog breeds, and how to keep children safe when interacting with dogs. There are some excellent dog safety rules for kids as well as safety advice for dog owners. Check out the Dog Safety Guide for Parents here. In honor of Dog Bite Prevention Week (May 17-23), kid-dog training and relationship experts Leah Hatley and Justine Schuurmans of The Family Dog™ have launched a campaign called "Stop the 77," since 77 percent of dog bites come from a family or friend's dog. A must-share video that tells the story of a family dog’s experiences from the child’s perspective, followed by the same story told through the dog’s eyes, which clearly shows the tragic effects of misunderstanding our family dogs. An upbeat, informative website featuring cool graphics and music videos that teach kids to respect dogs, understand what your dog is trying to tell you and how to help Stop the 77 by sharing this information. An eye-catching poster designed by Los Angeles-based artist and dog lover Lili Chin, which is free to download by the public and can be hung in school, libraries, vet offices, and more. To learn more about Stop the 77 and how to keep our kids and dogs safe, please visit www.stopthe77.com. 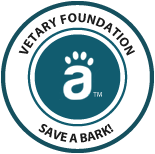 The American Veterinary Medical Association (AVMA) has great ways to help parents and their children understand how they can prevent dog bites, so you can help your kids – and dogs—stay safe and happy! Avoid dogs you don’t know. If you see an unknown dog wandering loose and unsupervised, avoid the dog. Ask before petting! When the owner is with their dog, always ask the owner for permission to pet their pup. Even if it’s a dog you know, asking first can help prevent sudden movements that may startle the dog. When confronted, don’t panic. If a dog confronts you, walk confidently and quietly away. If a dog goes after you, stay calm and stand still, keeping hands low and clasped in front of you. It’s important to take a defensive position, so the dog won’t think you are trying to harm him. Don’t make it worse. Avoid escalating the situation by yelling, running, hitting or making sudden movements towards the dog. All of these actions will make the dog feel threatened and can make the dog more aggressive. Never tease dogs. Don’t take their toys, food or treats, and never pretend to hit or kick them. This could create distrust in the dog, and make him or her more aggressive. Playtime has a beginning and end. A dog has to want to play, but when the dog leaves that’s your cue that playtime is over. The dog will come back for more play if he feels like it. Never pull a dog’s ears or tail. Pain makes a dog feel like he is in danger and he could respond by biting. Dogs aren’t toys. Never climb on or try to ride dogs. Not only could this scare or anger the dog, but it could also injure the dog if he cannot support the weight or tries to get away. Dog crates are safe spaces. Don’t bother a dog when he is in his crate. Dogs need a comfortable, safe place where the child never goes. Remember, dogs need alone time too! Pack Memorial Library will hold a kids craft hour to benefit Asheville Humane Society on Wed., Sept. 17, from 3:30 to 4:30 PM. Children in the community are invited to come and make dog and cat toys for he animals in our care. The Society will be bringing a pet for show and tell! No personal pets, please. The library is located at 67 Haywood Street in Asheville. Summer Activity for Kids Who Love Animals: "Critter Camp"
"Critter Camp" is a week long half-day summer camp program designed for children who love animals. Age-appropriate activities, field trips, and guest presenters teach young people about animal care in a fun, safe hands-on environment. The camp is operated by Brother Wolf Animal Rescue, located at 31 Glendale Avenue in Asheville. Enrollments are accepted online at: http://www.bwar.org/crittercamp . For more information, call (828) 545-0066.